FLUIDIGM IS THE FIRST COMPANY TO MAKE SINGLE-CELL TESTING COMMERCIALLY VIABLE, ENABLING SCIENTISTS TO RUN GENOMICS TESTING ON LOW-CONCENTRATION DNA SAMPLES AND PROVIDE GENETIC TEST RESULTS IN LESS THAN THREE HOURS. THEIR MACHINES MAKE GENETIC BREAKTHROUGHS ON A DAILY BASIS. FROM THE FOUNDER, GAJUS WORTHINGTON, TO THE DISCOVERY WORK DONE EVERY DAY BY SCIENTISTS, RISK-TAKING AND INNOVATION IS EMBEDDED IN THE DNA OF THE ORGANIZATION, DRIVING EVERY ELEMENT OF THE COMPANY’S CULTURE AND PRODUCTS. FUSEPROJECT GOAL WAS TO REFLECT THE BRAND’S UNIQUE PERSONALITY AND VALUES – BOLD, RISK-TAKING, INNOVATIVE, AND PIONEERING, AND THRUST BOTH THE ORGANIZATION AND THE PARTNERS THEY SUPPORT INTO A NEW FRONTIER. 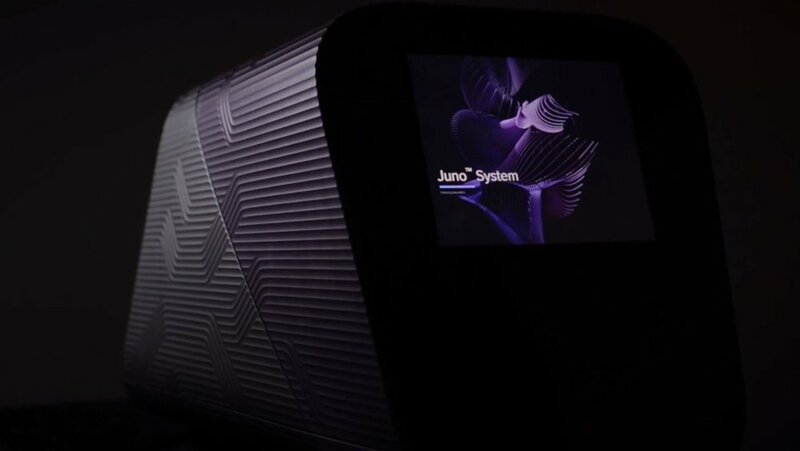 MORE INSIGHT FROM FLUIDIGM INTERVIEW " SCIENCE IN MOTION"
The Design Process and final design elements for the rebrand, product design, web design and user interface for Juno.